Share the post "Nintendo Labo Toy-Con 3 Vehicle Kit Review"
We have been playing with the latest kit from the range for the Nintendo Labo on the Nintendo Switch. 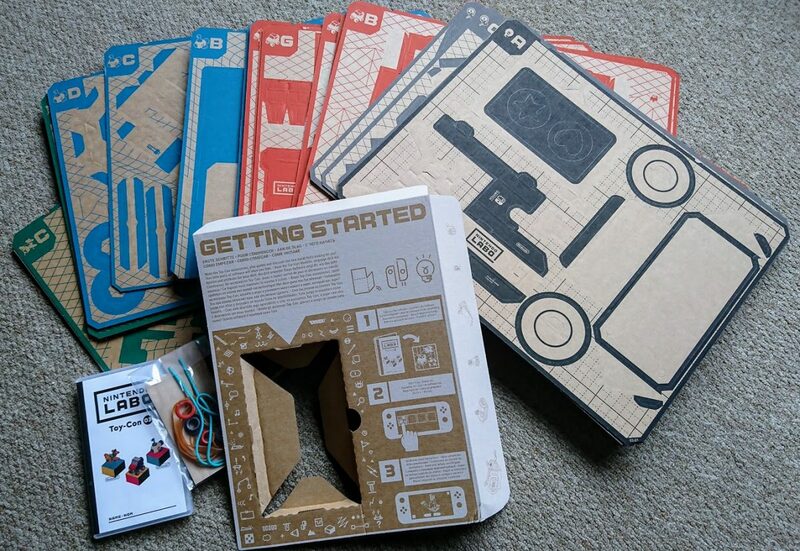 So today I am sharing with you our Nintendo Labo Toy-Con 3 Vehicle Kit review, following on from our Toy-Con 01 Variety Kit review a few weeks ago, so do check that one out, too. If you’ve yet to see this, it is something quite different. The Nintendo Labo kit is essentially a box full of cardboard sheets, with pieces that push out easily to allow you to assemble various builds. 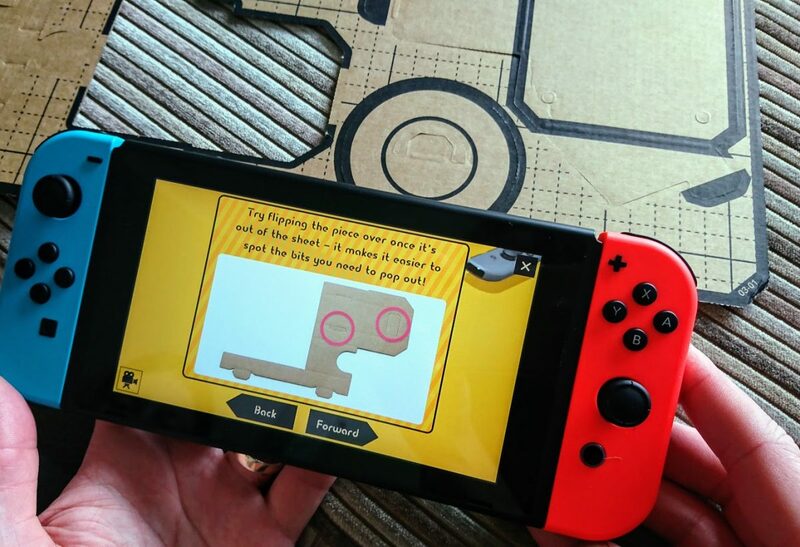 With these builds completed, they can work with the Nintendo Switch and Labo game to create a series of games and activities. The kit includes the game, so all that you need is a Nintendo Switch in order to play with these. 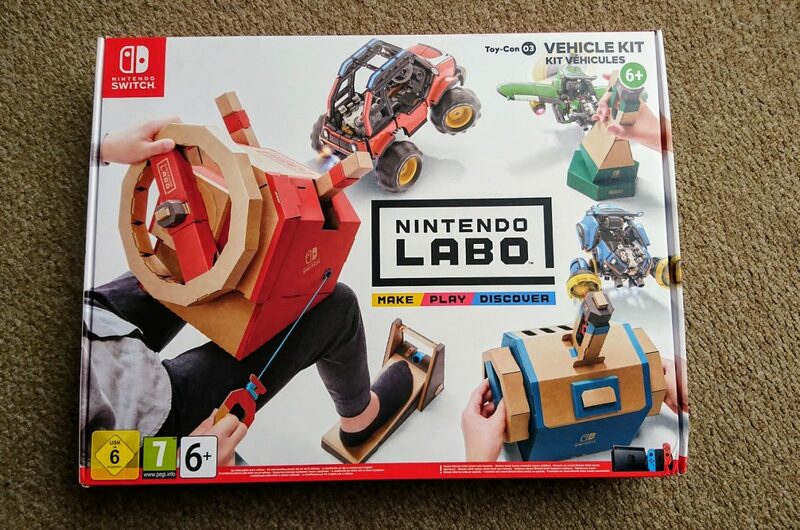 Here’s the latest addition to the Nintendo Labo range, the Toy-Con 03 Vehicle Kit. 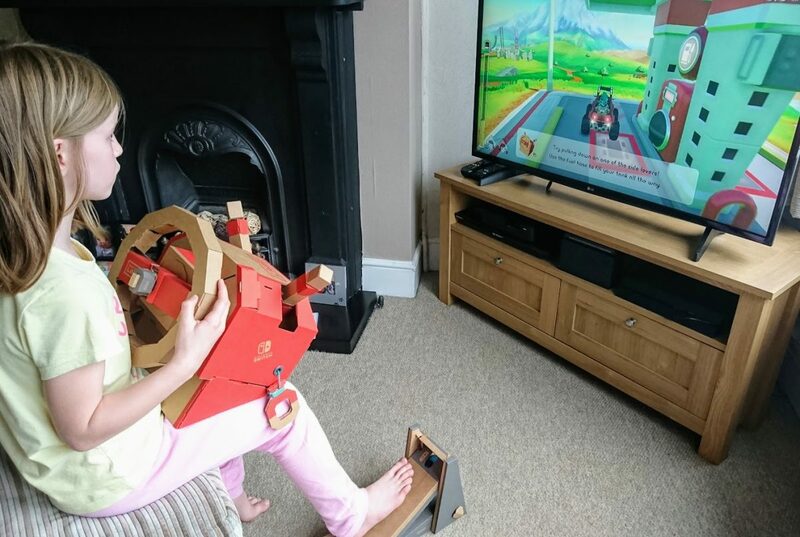 With the Nintendo Labo Toy-Con 03 Vehicle Kit, you can drive a car, fly a plane, steer a submarine and more! And the thing is, you know how things always seem great in an advert or a trailer like that YouTube clip? Well, this really is that good and really does work just like that! 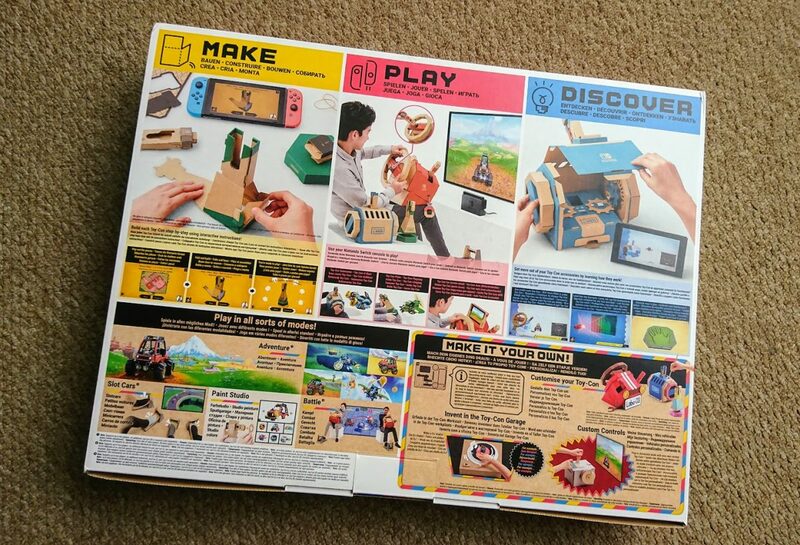 What’s great about these is that the instructions for the builds are on the Nintendo Switch’s screen, so the builds do become part of the game-play. They are easy to follow, with the kids able to complete the builds together, at ages 8 years old and 6 years old. We found that the pedal was relatively easy but the steering wheel took quite a long time, so do be prepared that the builds can take an hour or more when they are quite complicated like the wheel. Once they are built, you are all set to play. The game might be a handheld version or slot into the console holder to be on the TV screen. 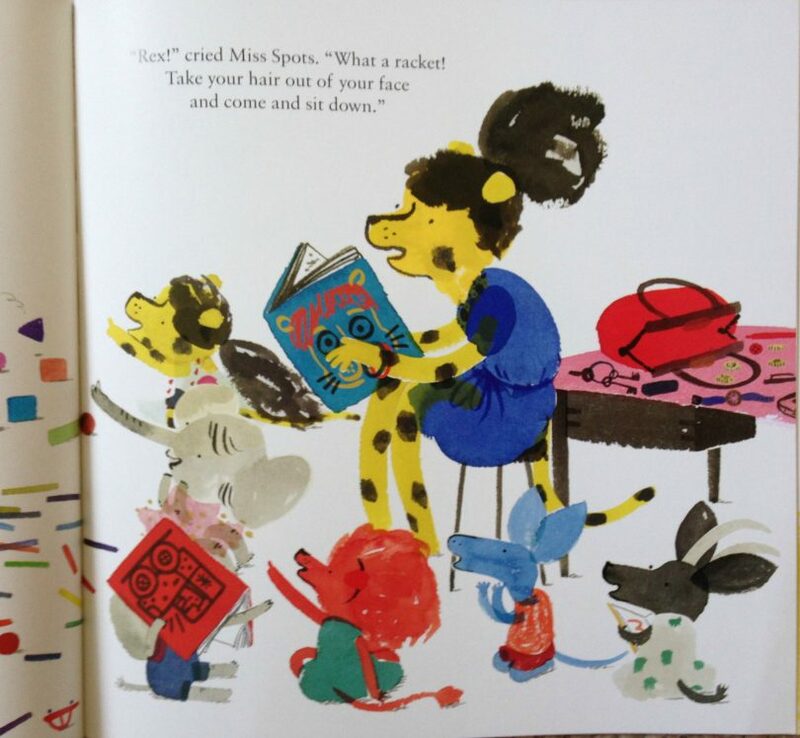 There are lots of shrieks of excitement whenever these games are played, so I know that they are a hit. 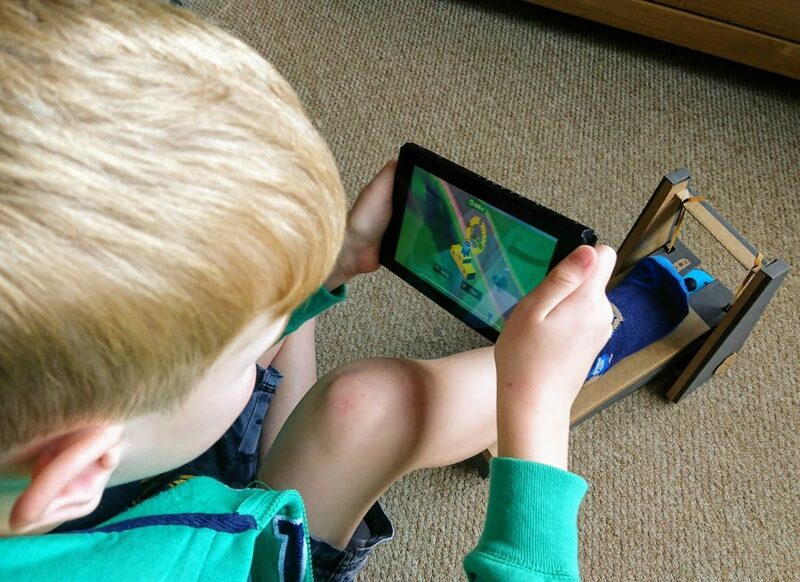 The pedal has its own game, and then can work alongside the steering wheel in a bigger game, played on the TV. The kids absolutely love driving the car like this, and it’s fun to see a game where they are using a steering wheel unit and pedal to manoeuvre rather than just joy-cons. As I said with the last kit we reviewed, these are so hard to fault. There are so many dimensions to playing with them, and once built, they do last well and the games are so much fun. My kids adore using the steering wheel that they built themselves and it’s been interesting to see how much my daughter enjoys playing that one, as she isn’t usually that bothered with playing video games. We still have more builds to complete. That’s the thing with these kits, they really do have hours and hours of fun in them. We try not to rush through the builds so that we can build and then play and enjoy the ones we have, before moving onto the next. 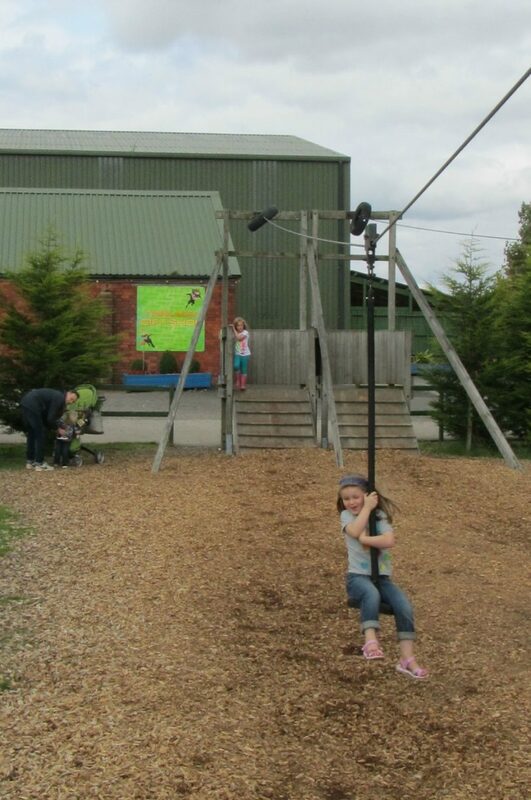 The kids then get out a new build to create every few weeks and then play with that one for a while. In this way, with the kits priced at just £15-20 more than a normal Switch game, I feel that they represent brilliant value. You can buy the Nintendo Labo Toy-Con 3 Vehicle Kit here from Amazon now. What do you think of the new Nintendo Labo kit? 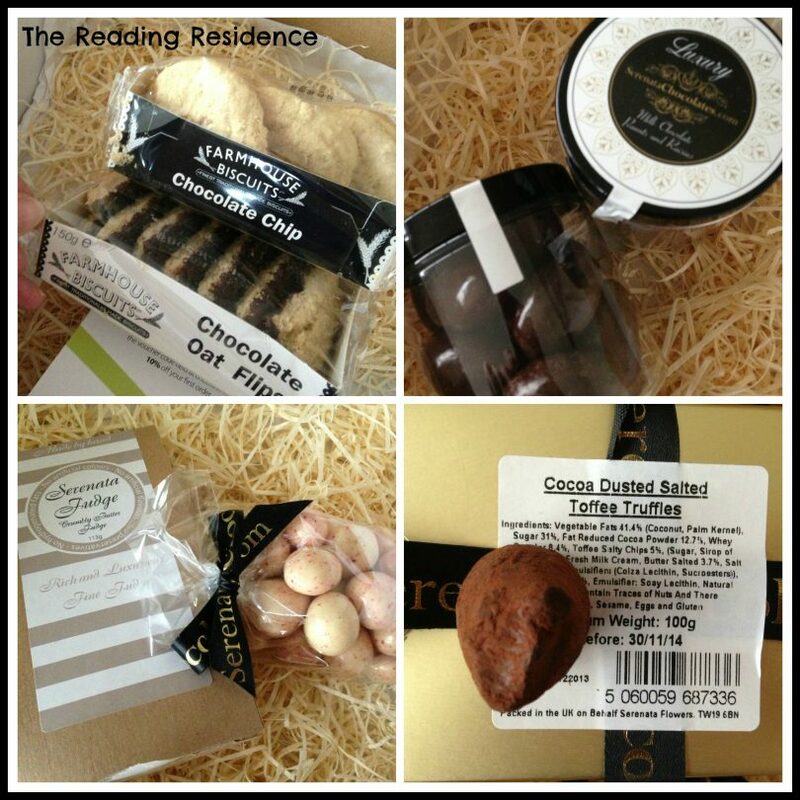 Are these tempting you yet?